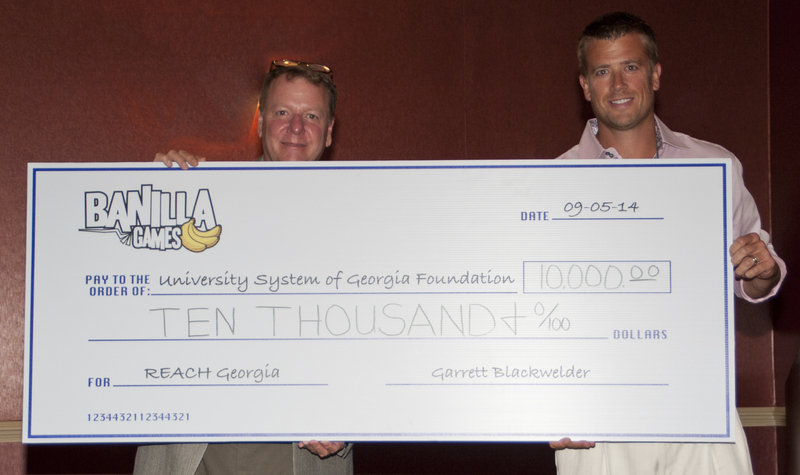 GAMOA Member, Banilla Games presented GAMOA with a check for $10,000 to present to REACH Georgia. About Banilla Games: Banilla Games is a privately owned company that evolved from the success of a route started in 2003 by owner Garrett Blackwelder. The team, assembled since 2003, continues to grow and adapt to the ever changing skill and amusement game environments across the globe.